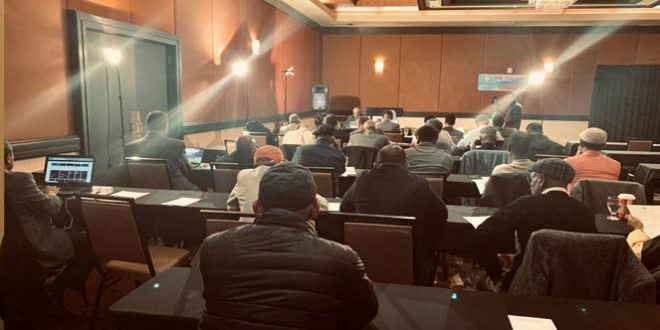 Members of the Eritrean National Council for Democratic Change (ENCDC) concluded a two-day meeting in Denver, Colorado. The weekend meeting was held by the ENCDC North American region. Formed in November 2011 in Hawassa, Ethiopia, ENCDC is the largest Eritrean opposition organization. Over five-hundred people representing political parties and groups, human rights activists, veterans and women’s associations as well as notable people attended the first congress. The second congress of the ENCDC was scheduled to be held in 2013 but it was repeatedly postponed for many years. Soon after its formation, the ENDC was inflicted with internal and external conflicts and pressures that resulted in the diminishing of its public support. Determined to hold the second congress under any circumstance, ENCDC members are moving frantically to finalize election procedure and other logistics, including deciding on the venue of the congress. The general conference is expected to be held in the beginning of 2019. Though the ENCDC maintained skeletal offices in Addis Ababa, its own inaction and unfavorable external situations have almost made it insignificance. Its presence in Ethiopia has marred its image in the perception of a significant section of Eritreans. Many of its supporters have been pressuring the ENCDC to leave Ethiopia believing its presence in the country didn’t help it much. But now the situation for the entire Eritrean opposition has worsened and “there is no point in staying there anymore” according to a senior opposition party leader. A member of an Eritrean opposition party that used to be stationed in Ethiopia explained, “Since last summer, it has become almost impossible to even maintain our basic presence in Ethiopia.” The Sana’a Forum, through which Ethiopian authorities handled the Eritrean opposition is almost frozen. The forum was established in the 1990s by Ethiopia, Sudan, and Yemen, however, the role of Yemen and Sudan stopped many years ago leaving the forum under Ethiopian control. The future of the relations between the opposition and the Ethiopian government is at its lowest since the Ethiopian prime minister chose to ally himself with the Eritrean dictator. Hi All. While the manhunt continues for Getachew Assefa, people are forgetting the whereabouts of Esayes Woldegiorgis, who served as his deputy until May 2016. He was the de facto head of the intelligence for the last three years of MZ’s administration despite the official position of chief of intelligence being held by Getachew Assefa. Woldegiorgis was instrumental in arresting opposition party members and journalists during the 2005 elections. He directed the operation in arresting the then members of the Coalition for Unity and Democracy, the party that won the 2005 election, which was rigged by the TPLF. 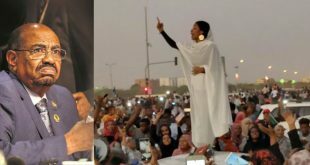 Eritrean opposition camps desperately need new blood! Those in the 60+ age group are simply detached from reality, wish to live in the past, with many not even having seen Eritrean for decades. It appears, you forgot to mention PFDJ (geriatic mafia club). Make like for my proposition. If you choose dislike, you live in contradiction and confusion, and this requires an urgent visit from you to a veterinarian. I hope to see you next time that your mental condition stable and enjoys integrity and coherence. Good luck! Hi Hameed Al-Arabi. Thanks you for your advice great-great grandfather! Huge rallies are a healthy sign in the free world. It seems you see huge rallies a danger to your existence. I thought your democracy, freedom and peace are real and for all. Tell me it is a fake propaganda for consumption purposes of the naiveties. It appears, you require 3000 years to conceive the significance of democracy and freedom. Now, I have understood why you rejoice being MILITIA TIFF & GESSO. You sacrifice yourself to be slave. In such kind of situation I have only to say, good luck for the masters of the slaves. Our fathers and mothers say,”A slave who sells himself/herself doesn’t bring good price”, but they missed to speak about the GESSO SLAVES who sell themselves without price, free commodities. Hi Hameed Al-Arabi. Huge rallies that are spearheaded by known (TPLF) criminal elements are certainly not a healthy sign in the free world. I totally agree with you, but we should bring more and more issue about Eritrea and be selective to the comments that really relates to Eritrea. I think this is part of the struggle. I am new comer in this forum and I found Awate is the best platform compare to other Eritrean platform to discuss about Eritrea freely. Here a lot about Eritrean political and social problem discussed but I miss the solution. I want to see more how to make the life of Eritrean dictator short, How can we make a smooth transition, how can we unit, What will be, if a sudden change come to Eritrea, How can the Eritrean people awake to fight for justice in Eritrea, How could be EDF motivated to side with his people….. etc. I wish to have such kind of discussion theme in this forum specially now at the time when the dictator run out of excuses. I believe many of us and many close followers of the Horn of Africa issues were astonished by the intimate first meeting of Dr. Meddamar and Isaias. The conduct never sounds of first encounter of both guys. They appeared to be an old friends. Truly, such strange spectacle drives one to scrutinize so as to explore what lies behind it. It is an issue that could not be passed by in full swing without question. Since the matter is about cordial friendship, it will be convenient to benefit by the Tigrinia adage that goes as follows: TELL ME YOUR FRIENDS TO INFORM YOU WHO YOU ARE (መን ምኻንካ ክነግረካ ምስ መን ከምትኸይድ ንገረኒ). Though the first meeting was embarrassing, but the majority interpreted it as Dr. Meddamar who has ascended on the driving-sit of Ethiopia as unusual liberal guy. Pretty nearly all welcomed and supported him, at least morally, including me. This, of course, is a healthy approach for sane people who respect themselves. Before long, friends of Dr. Meddamar surfaced themselves on the scene. The great majority came to realize that his bosom friends are the Arab Zionists and dictators, the bosses of Isaias. As all of us cognize that Isaias is a devoted agent of Israel. In a nutshell, behind all the drama of peace are the Zionists. Dr. Meddamar is a strong fan of Israel. In many occasions of his speeches takes Israel as an example. They are his model in politics and life. He doesn’t believe in the rights of Palestinians and human rights of any people in the world. He seems to stand with the stronger who crushes the weak. Dr. Meddamar is an affiliate with the conservative white extremists in America who support Israel and dictators in the region. According to their belief democracy and peace are only for Israel. The rest of the region do not deserve democracy and freedom in their countries. A guy with such an affiliation will never actuate democracy, freedom and accomplish the GERD in his country. His mission from his bosses is to grip power and impose dictatorship. The reason for warm first meeting was their association in one Zionism Squad since a long time ago. They are precisely Zionists to the core, and to get democracy and freedom from such kind of guys is a dream that will never be materialized. Dr. Meddamar is just endeavoring to grip power and impose dictatorship in Ethiopia. He will never deviate from the instructions given to him by his bosses, the Zionists. Thanks for your sharing this deep knowledge. Can you enlighten us also how he helped the Zionist arabs and Isreals air lifted more than 40 thousands Eritreans to Israel while he was pretending not the leader of Ethiopia. I think it was around this time MI-35M Helicopter landed in Eritrea all the way from Ethiopian training sky , at that time I was not commenting in this forum but hear me now . People were debating about who hijacked the helicopter , background of the pilot is simply bizarre if I remember correctly from the mouth of Eyob Medhanie , he said “ the pilot has family problem ….. Eyob at that time brought many scenarios “ I am paraphrasing here . Remember Eyob is a guy who got his daily bread from the weyane government at that time and he as well as Tigraionline as well as some war mongers were asking the Ethiopian government to go to war for the sake of helicopter, what I could not remember the exact exchange at that time was between Nitricc, Abi and Amde ( I am guessing) . But what Eyob said at that time still puzzled me because I didn’t believe such people can actually work for the government but to my knowledge Eyob said the reason PFDJ didn’t get exited is that because they were afraid that Abay Tsehay will come roaring . As I told it was around Christmas just as of now but before 4 years . At that I was loving Al-Arabi comments because at that he was commenting about Tigrinya and Arabic words and he was posting many words to show the similarities in between. Now don’t ask me what happened to Al-Arabi . What time is it ? I need to contact saay to ask him get Eyob number and ask, who is xxxxxx in his pants ? Sorry for the ጽያፍ ቃል it was not intentional. The video was about, high ranking officials of ethiopia lead by dp demeke visiting israel and 3A was part of the delegation when he was minister of technology. Egypt, Jordan, africa countries and so many other countries have good relationship with isreal and there is nothing wrong for ethiopia to have relationship with isreal. And ethiopia’s stand on the Palestine question is obvious and it is the same with AU stand. What u said above is called lying and fantasizing. The video is for giving a hint how Zionist, Dr. Meddamar, loves Israel. Not only this, there are many occasions in which he takes Israel as his model in all aspects of life. Secondly, one relationship from another differs. To argue all relationships are equal is far from truth. Thirdly, the toll is for the Ethiopian people to take action before it is too late. I wish to all our neighbors to have democracy, freedom of speech, freedom of movement and prosper. 1,Egypt, Jordan,rownda,uganda and so on have strong relationship with isreal than ethiopia has with isreal, that is a fact. 2, i head him using isreal as example 2- 3 times, that tells me ,giving 3A background and eprdf ethnic ideology, he used it as reverse psychology . I have never READ anything about Woyane form you. I mean how could you not write about them ? But you go all thevway to Israel to make unfounded allegation. You are a closet Woyane sympathizer. I have seen the pattern. People like PAULOS come to mined. Ayete is aslo a very ardent supporter. Here he is peddling “lets ignore Woyane” mantra. How could we ignore them? Who thinks like that? 200 bodies have been found and BERHE, was worried about a general being hand chuffed. Can you believe this? Are you that arrogant to think we will just not say anything? My dear friend, I am not a mad person to fight with dead bodies. Weyane is dead and decomposed. I think, you are one of the heirs of the legacies of NUSU who fights corpse, and this is the reason for requesting me to join insanity. Thank you my friend. I fight and watch the present driver of the bus, never the dead driver. What shall I benefit from fighting the dead driver? Could you explain to me what will you benefit from fighting dead driver? My dear friend, for you things you didn’t see or know are none existent. Tell me, what can I do to help you? My good friend, I hope you understand that FAST FOOD is not good for the stomach, the same FAST INFORMATION will spoil your remaining microscopic mind faculty. You say things are heading to the right direction after 30 years, really? Aha! I have understood, you mean MILITIA TIFF AND GESSO. I think, this may be the right direction for you, but never for others. Is this the direction you were dreaming about? Good luck! funny you used to benefit from that dead corps tplf ,you have tested from the cursed hand ,what would be your future than the fate of woyane ,right now you are a dead corp that stink from far but you cannot feel your own smell and that is natural ,so take a good shower that will clean you from your stink of division ,and religion ,you wont have your life back but you can have a decent burial at least . Leave self, soul and history purgation aside and discuss about other issues. Cleanliness makes oneself proud. I am clean and sterilized too. Dear Ayneta, I think it has to do with the fact that Eritrean and Ethiopian politics have been and will continue to influence each other. Besdies, the Eritrean dictator is bussy messing aroud in the internal Ethiopian affairs, something which could potentially set ablaze our entire region. We Eritreans have to keep warning our neighbors to the South to not open their gates to this evil man as he is good for nothing except mayhem. Selam Awatista, have you checked the recent interview of DIA from 3. November? The numbers of likes and dislikes speak for themsleves. Almost 9k viewers clicked on the dislike button, while only 1,3k clicked on the like so far. I suppose DIA is so mad, knowing how egocentric he is; may be is passing his days in Adi Halo getting drunk as usual. BTW, he has forgotten the second part of the so called interviews that he had promised. Probably, he has understood that practically, no sane Eritrean believes and listens to his endless lies and meaningless blabbers? Selam Abraham H., I think you are getting desperate day by day. The TPLFites were eagerly waiting for that interview and they probably aligned with the likes of you to down vote his interview. Selam Milkiyas Z., what else could the likes of you do besides looking for TPLF/Weyane bogeyman for all the messes of DIA? Look instead inwards and try to face the miserable reality of the internal situation of Eritrea, and try to do your part to improve it instead of searching for lame excuses. As far I can remember, the observation and concern you have voiced were raised in the past in this forum on more than one occasion. One of the reasons for this was when regime trumpeteers tried to drift Eritrea-focused debates and discussions under relevant threads to Ethiopia related issues by pushing in to the debates their regime’s obsession with its nemesis called Woyane. They did and still do this through unmistakable reading of the supremo’s lips. So, many of the participants in this forum felt as though genuine Ethiopian friends were trying to impose issues related to their own national concerns. Of course there might have chauvinist individuals for reasons known. But these did not fare better equipped than our own regime surrogates and noisy barrel Dr. Paulos has referred to in his rejoinder to yours. Otherwise, I would dare argue that the moderators of this forum and majority of readers are more than happy to be graced with views and facts many Ethiopian friends post. I mean who would not be impressed by men like Amde and Fanti, and actually scores of them. Moreover, only naive and badly oriented Eritreans would fail to comprehend where national interests of two neighboring sovereign nation-states cross or move parallel to one another. This truism make platforms and forums and media outlets useful mutual conduits for transmission and popularization of ideas for common good. Thus, as long as this forum and its managers exercise discretions to distinguish phoney chauvinists, on the Ethiopian side, and a few 24-hour sentinels who stand in wait to repeat what the regime lieutenants and its supremo, on the Eritrean side, there is no worry in my mind about our Ethiopian friends using this free and democratic outlet. By the way, the regime mouthpieces in forum will change course once the supremo change and say in one way or the other ahwatna Woyane which could be soon. The reasons why no supporters of the Eritrean regime wouldnt say ”ahwatna wyane” is tplf has a culture of destroying any group after it has sucked whatever any group or individuals can offer. EPRP, EDU, ELF, Derg, OLF, Amhara, EPLF, Eritreans, ONLF, All opposition parties created after 1991 in Ethiopia, ICU of Somalia, Oromo people, Qero, Fano, ODP, ADP, Abiy, Isaias, and any supporter of the new peace and change in Ethiopia. Do you think any group willing to cooperate with Tpfl ever again? Most of us I believe come to this great site to learn to be well informed so that we make efforts to comment accordingly. My impression is that, there are two sections in the comment area: Garbage section and Healthy section. I have learned to stay away from the section that churns out a heap of garbages day-in and day-out but I read, I might add the healthy section religiously including those I don’t agree with. For instance, I don’t usually agree with Muhamuday’s take particularly about Eritrean politics but I read him nonetheless. The same goes with Semere Tesfay. At least they both engage in a healthy and civil discourse. Nitrikay is fun! The rest I stay away. This is simply unfair , how on earth you single out MS , Nitricc , Alex and me in this big whole ? Who started the thread in this? I think you are right Eritrean issue is being flexed out by the number of weyane goons in this forum and that includes our reply to the weyane goons but to squarely put the blame on 4 people without the decades old comments made by people like the known ወያነ ጁጅ ማጁጅ is simply beyond your guess . Where do hayat got her weyane Queen , what happened to 18 years weyane threads in this site ? I mean even at the height of YG horrible discussion everything was done in connection to weyane threads . Let’s be honest even the BBC weyane Tigrinya section is all about weyane paid agents thread . We are forced to make a point against the weyane babies in this forum . Call it game over unless you can’t ran away from the current politics and that is almost 3/4 weyane made . Dear Blink… since when is the word “weyane”’ become an insult? am i missing here something. The proper meaning aside, weyane is an insult in most part of ethiopia outside tigrai, most people don’t know the meaning of it , but it is considered as insult. That is why people use the word tplf or “hewahat”. Oh you didn’t know ? My world ,how could you not know this . The word is considered the worst word of insults . I am just trying to avoid it by mixing it within good things. To be honest I was shocked , but the mod is right , I mean it must be banned from this forum. I have raised the issue in a very few words before, yours is advanced but I was advised that Awate.com can’t block Ethiopian political entertainers. The issue is not having or having Ethiopian commentators in the forum, but the entertainers are spreading hate, vengeance and discrimination, where at many times I am forced to write an eye for and tooth for tooth. I have forgotten the details and the time, but i think that at one point awate.com had the idea of making itself a horn of africa regional website by entertaining comments from citizens of countries of the horn. In my opinion, I do not believe that eritrea is not discussed adequately. Ethiopians usually respond to what is being said about ethiopia by eritreans, and ethiopians as well. In addition, one can easily start a discussion on eritrean politics by commenting on the subject one wants to be discussed. Usually you need a catalyst and a chain reaction takes place as we see so often. The rest is in the hands of the owners of the website. I have the same conclusion, have said many times why do people do this; and even replied to Al-Arabi the moment he changed the topics and then you can follow the thread after his comment how the whole topics changed to Ethiopia. 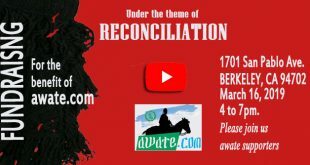 1) Awate.com has been focusing on Ethio-Eritrea politics instead of what the oppositions or Eritreans in Eritrea are doing. 2) There is no major activities by the so called Eri-opposition. Meaning no big activities in Eritrea. Usually Eritreans at home do things and the oppositions make a noise about it on social media. That is what called opposing for the time being. If unfairness is normal in this page, why do you visit it. This forum is to inform, inspire and embolden. Can you please share the info where Sudan is backtracking? Then I will eat my words and admit I was wrong or reached to wrong conclusion based on wrong allegation and declare that ERITREAN government was telling the truth all along. But please don’t tell me PFDJ is the source of that news “backtracking”. 1. On Eritreans to be in solidarity with the people of Tigray. a) With the people of Tigray: There was and there is people to people to solidarity. Sometimes it is publicized but most of the time not. b) With the ruling party of Tigray. Here is politics. If the majority of people in Tigray elected TPLF and will elect it in the upcoming elections, we have to respect the choice of the people. c) The same goes when we see the issue at large: Ethiopia, especially when it becomes our relationship with the other ethnic groups. It is true, due to proximity, history and family relationship our relationship with Tigray is stronger than the others, but as you said Salih, even the situation in Yemen affects us, let alone, our neighbor Ethiopia. Peaceful Ethiopia is an asset to Eritrea. But how to make Ethiopia peaceful is the responsibility of Ethiopians, the same to Yemen. The important thing is we do not to be an ally to one side like Saudi Arabia is doing in Yemen, and we know the rest of the story: bloodshed and destruction. The Yemen war is a lesson to us when we think about our region where we see people’s grievance in every country, including Eritrea. 2. On why it is when it comes to Eritrea, the elite of Tigray think only the Kebesa or Christian or high land Eritrea. a) This is a not a Tigray elite issue. 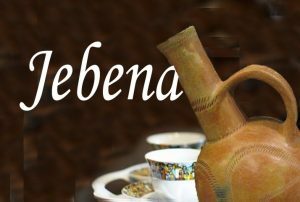 Even in Eritrea we have it, where some has thought that Eritrea is all about Kebesa or Christians or it is all about Metahit or Muslims. The root of this can go back to the absence of fair representation. In one way they can be right if they used to meet with EPLF authorities who were from the same ethnic group. Look to the majority of the Eritrean army generals being not only from one Eritrean ethnic group but also from one vicinity, “Karneshim. Why Karneshim, well we can say that EPLF has start from one point and that is where it started and from that vicinity where the majority formed its ranks and files. Many countries have started from somewhere but good governments have done their home work to make the representation fair in the long run and this not by a miracle but D E M O C R A C Y.
b) the other aspect of the point even though the elite you mentioned made himself clear that he had one of picture of Eritrea (not diverse Eritrea), he is indirectly criticizing the regime of Eritrea for its failure in the issue of real representation. Because he knows you are a journalist and journalist inform. The man might said it spontaneously, but the late Meles Zenawi has said it in other circumstances (if I do not remember the exact words but it was like he said that the Eritrean Muslims won’t agree to a step taken by EPLF dominated Eritrean Christians) and this indicates that the man might had said it from policy point, as a technique of war of propaganda from TPLF against EPLF when the two were not in their honey moon. The elite know how religion was and is abused in Eritrea to create havoc and division among people. Here I do not mean that there are no grievances from many Eritrean ethnic and sub ethnic – groups ( a group within a group) but I am saying let us solve our own grievances by ourselves and not let an outsider meddles. The same like we do not want to meddle in Ethiopia, Yemen, Somalia, Sudan and Djibouti. C) The Europeans said that ethnicity is a curse in Africa. But if we think about it we can turn it to a blessing if we Eritreans, Ethiopians, Somalis, Sudanese and Djiboutian create HE U (Horn of African Union) open our borders and have free trade among us. 3) On the issue why Salih Ghadi do not see Dr. Abiy Ahmed as presidential. When I heard you say that in the speech, I said since when is SG working for CNN because the anchors over there do not stop from saying Trump is not presidential! (LOL) So do you want him to be presidential like Mengistu or King Haile Selase…or Isays Afeworki…By the way I think Isays Afework might sometimes think that Dr. Abiy is not presidential specially when he nags him to say something in Amharic: look at Wedi Afor murmuring ( ኣታ ዚ ወዲ ዘይገድፈና ኢዩ) and when he says to him ወዲ ኣፈይ or when he reminds him about grand pa ኣብራሃ I believe it is related to culture. Ethiopians, specifically their ranks and files treat to each other like Dr. Abiy. There is a lot of honey words,smile and praising . We are not and maybe it is not our culture, But if you were comparing between the two Abiy and Afeworki…they are totally different charter, suffice to say the later came from መዋእል በረኻ and from a party that do not tolerate parsing. But look to the objective and goal: Dr. Abiy by his smile and ” acts like of that guy who sells watches” in New York airport, he brought all former foes to sit together: OLF, Ogaden, Dr, Brhanu, Andargachew, he made the Muslim sufi and non-sufi , as well as the orthodox to sit and work together for peace. I rather give a salute applause to him than the other who declared from day one to outlaw all Eritrean political parties except EPLF. Look the changes in Ethiopia in the past few months. Look at us, since, 1991, our grievances became so much to a degree our agenda is now changed to the sellout of Eritrea to Ethiopia from freedom of speech, rule of law and democracy in Eritrea. Context is important: my topic was the Hawassa Congress, what transpired, and the role of EPRDF— the TOLF being a major component. It was not an exhaustive regional analysis. I do not work for CNN but yet, not looking presidential are your words not mine. I said I didn’t like his character and I used the words that I know. Otherwise, I do not have much difference with your views. The ugly face of ወያነ is again on , the notion weyane fought for Eritrean independence is not only false but a deceitful attitude held by ugly ኣባይ ዘ ለማኒ . 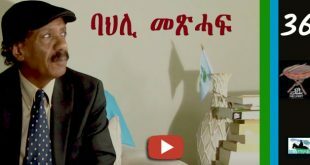 This guy openly said ሕቆ ኤርትራዊ ክንስብር ኢና እብል ከም ዘይብል ነበረ ሕጂ starting to speak from his complex windings of hearts . Abay little Tsehaye know deep that he was the obstacle and he should ask forgiveness from the Eritrean people. He thinks that Eritreans forget his crime . What about Bademe , he wants to talk about ports and others . The heart of weyane black as ever is always black . Let his ምልሻ get out from Badme then , let his party apologize to the Eritreans who are still in agony due his black hearted attitude. The weyane circle supported by people who lost all are singing the song of death . Even if Issias accepted Tsehaye call the Eritrean people will never forget . He thinks these in Tigray trading or waiting to go to the west are being nice to him , I think this man has alziamers or something bad hidden heart of the cruel . If you really want Eritreans to never associate with Eritreans then learn what they have done against Ethiopians the last 27 years. The list you mention what they have done against Eritrea makes woyanes angles compared to what they have done against their ‘own’ fellow Ethiopians. Besides I doubt if the majority of Eritreans believe you because they cant understand the need for the such horrible cruelty. I am certain you know I know the horrible crime done by weyane over another people of Ethiopia ( Oromo , Amhara, Somalia ) and I certainly understand your points but trust me Eritreans are not represented by people like the few weyane goons in this forum. Alula was evil and many others were evil so do Meles and his friends. As I have been saying weyane and mostly Tigray leaders until now has been deceitful to the Eritreans . The notion Eritreans love Tigrians can be true because there is no way one group of people born to hate another group but in our case we do have million reasons. Remember Alula was a bloody man born in Tigray who was doing the bidding of Yohannes , I mean what kind of man divorce his wife with two kids and then get married to Yohannes relative in order to kill Eritreans. Meles and Tsehaye armed most Ethiopians in false word in order to kill Eritreans. My wish is to see weyane history got thrown to garbage and never recycled . I know that. But what i mean is how to late the majority of Eritreans know what Tplf has done against Ethiopians and the need for the cruelty. The cruelty has been more than money and power. We dont know yet the reason. Some who have been working with them are still in disbelieve. I have always said that weyane are a bad fruits of Ethiopia and what they did is known by majority of Eritreans . Most Ethiopians know the crime committed by weyane over Ethiopians.The few in this forum are little rates who has been warming their sit with weyane looted money. Your reasoning looks to be time-invariant; which tends to make every paragraph of your reasoning unfocused and irrelevant. I know and I know again and again that you felt it . It is not easy to advocate and defend for a deceitful creatures like weyane people who sleep on their invited guest dead body . Who on earth kill his guest and claim he did not arrive at their house? . Weyane ዘ በሊዔ ኣሉ will always employ people who are sale out blinded by money or any thing materialistic sides of their guilty side . Mizan my points are perfectly clear and you can’t dispute them if you abandon the weyane side . Lamek I understand you have been here and there but you suffer from a heart that lost its SINUSKNUTEN and AV— Knuten , remember such people who own such heart as the tendency to look for EKG and for that they need money and that money in the weyane land can always be handed from looters . Remember weyane in 1976 lied to ELF and in 1997 to all Eritreans and in from 1998 -2017 to all Ethiopians and now let’s see how ጸሃየ ለማኒ looks like . His teeth oh his teeth , I mean what is money if he can’t use it . I remember it is looted money and the looted money refused to stack with his mouth. Blink (ውልዕ ጥፍእ ዶክንብለካ), someone must be paying you to do their dirty work in demonizing TPLF and Tigrayans. Nobody can have this much hatred and negative feelings in real life against anything and express those feelings profusely with no time limits, it can only be done for substantial commission. Telling what tplf has done is not hate. It is called fact. To your surprise Blink has said very little as to the cruelty of Tplf. Crime is crime whether Y or X has done it. Certainly you are forgetting which part of it and where these Ethiopian trenches are planted as of now . something the government cannot make a stop anytime soon (finger crossed). If you can only check the Oromo Media Network live coverages on Facebook – you will be amazed how many symposiums are ongoing on federalism, peace building, coalition talks, transition, democratization, launch of newspapers etc… most of them in the context of Ethiopia will remain a multi-identity entity. So the hope is, unlike in 2005, where the federalist and nationalist forces were weak and taken by surprise by the Unitary state fanatics; this time around the federalists / nationalists are strong. That means – there is a power base outside Abiy’s government to balance; his at times reckless and amateurish populism. One entry point the Eritrean opposition and civil society could try is; to try to approach these symposiums organisers mostly international think tanks and institutes. I have seen Somalia, South Sudan etc were represented by their scholars – there is no reason Eritrea cannot. God forbid you are saying tplf is the federalist or among the federalists. Thank you for sharing and this is wonderful idea. I think and believe with ERITREAN government opening for business, there is the more oppertunity to pressure it to crack. Hi kaddis; it is funny what you have quoted below. you said …. some cases, lionising the leader of a totalitarian regime in another, a neighbouring one with a deep cultural and religious attachment to ours no less. It is typical Ethiopian’s insincerity and absolute pretense. The Ethiopians have a country who is the most internally displaced people in the world. People in Ethiopia have been killed every day in every corner of the country. The level of corruption is mind boggling, the power struggle is intriguing and dangerous, the ethnic tention is at breaking point; yet they come out and write bull crap about Eritrea. What is even more intriguing is they sound like a white man writing from of his western offices. Should I remind you that we are talking about Ethiopia, yes the Ethiopia can’t even pulled it off one of the most anticipated national project, the GERD. We are talking about Ethiopia, yes the Ethiopia that soon to be handed to Chinese in platter plate. I can go on and on but you get my drift. Ethiopians clean your house before you try to do or point out anything. The truth is, if you had any courage you won’t be humiliated and killed for the last 27 years by 6 % of your population. I hate when people pretend and claim the higher ground while they dying inside. Keep your house in order then you can open pie hole about. We are perfectly capable handling our issue; handle yours. don’t worry about Eritrea and worry about the people who are dying everyday in your freaking country. God forbid you from coming to power. Hi Mez; why did you say that? I understand why you said that but I want just to hear you out. the problem with you Africans is that you are confused between the white world and your own reality. I suggest leave what belongs to white people and do what is yours and what matters to you. if in deed I come to power, I have one job, that is Africa will do business Africa’s way. No confusion. Now explain why you made the above comment. I agree, Ethiopia do not have the moral upper ground to lecture anyone. But the editorial would not be written this way if Isaias came and go as say Al Bashir. The message, if stretched, is for those who are tempted to involve a dictator to score on a group who is accused of dictatorship. Many thanks for the Editorial. The Emperor is accused of annexing Eritrea with Ethiopia; Dergue is accused of engaging in a protracted war to eliminate a generation of Eritreans; the Weyanes are accused of conspiring to weaken Eritreans. One wonders how will posterity in Eritrea remember Abiy? There is a crucial element missing with in the Editorial thread. That is, there is no Eritrea, Isaias Afwerki instead. Eritrea was lost in 2001 when Isaiasism pervaded every facet of the society, the reign of full blown despotism if you will. No Constitutionalism, no rule of law where the rights of every Eritrean is not only erroded but replaced with a harrowing dread and fear. Isaias certainly has a deep sense of history and ironically he seems to have been troubled by it since day one. The vexed stance in him is intertwined with his pedigree which is far more closer to any given Ethiopian than the average Eritrean. As such, he took it upon himself to bring back the nation he created in his own psych to her roots where the lost years in between and the lost souls in between are rendered casualties and footnotes of history. The struggle morphes into and between Isaias the Irredentist and the rest of bona fide Nativist Eritreans. 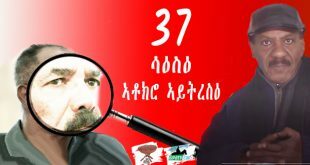 Isaias has Abiy on his side, who do Eritreans have on their side? The arc of moral universe is long, Martin Luther King once said, and he went on to say, it bends toward justice. Eritreans have eternal justice on their side. The real peace prophet by the name Abiy made peace with Eritrea and war between the two countries is the thing of the past unless the greedy good for nothing engage Eritrea in war again in the name of ”not separating families”. He did not give order to torture the tplf criminals in fact he begged Ethiopians to forgive them. Though tplf sympathizer and the rest think differently i have a question for you if you call Abiy a devil for being silence about Eritrea’s internal affair, what you call yourself leading a better life away from home? I’am asking you because I couldnt understand the degree of hypocrisy here. You know this ethnic politics has not boundary and I understand why you feel humiliated by the fall of tplf. Blood is thicker than water. Ask the following questions and you will have the answer if the pm of ethiopia is an evil man or not towards the people of eritrea. Inaction is worse than silence. That is what the eritrean people have been witnessing from the opposition and the diaspora. Many have talked the talk, but none from the opposition has walked the walk. – Who alleviated the fear of war of the eritrean people by bringing a peace deal between the two countries? PMAA and not the opposition. – Who helped open the border so that eritreans could visit their relatives in both countries, trade at the borders and beyond, travel freely in both direction, breath the air of relief, see the light of hope, etc? PM Abiy and not the opposition who talks a lot and did little over the last two decades. – Who helped bring eritrea out of the cold and she is no more under sanctions after about ten years? PMAA and not some opposition members who seem to hate to see eritrea return to the world community, IGAD and other organizations unless under their terms. – Who is going to revive the dead eritrean ports? The ethiopian pm and not those in the opposition who can’t help eritrea one way or the other, and yet do not allow others to help. Please tell us the things diaspora eritreans, the opposition and others have done for the people of eritrea over the last two decades to alleviate their predicaments. Tell us what they have done to shorten the rule of the despot. If one cannot help, let him at least not be an obstacle, at least for the sake of the weakest portion of the eritrean society, i.e. women and children. Opposing everything that happens between ethiopia and eritrea, not looking beyond the despot at the people who are suffering, and doing nothing, is the drama of eritrean politics. Hi Horizon: please forgive them, some Eritreans are screwed beyond repair. When TPLF was in power they were calling for TPLF to head its tanks and head to Asmara to unseat PIA. then the unthinkable happened, PIA stood firm on his two feat and TPLF was out of game; like game-over! thing. then we witnessed the emergence of PMAA. PMAA played his game flawlessly by hacking TPLF inside out. Then he played within a speed of light in normalizing relations with Eritrea. After what the man has accomplished for his country and people the last thing he wants to do is confront PIA about Eritrea’s internal afire. The people who think PMAA should confront PIA about internal issue of Eritrea is ether they are stupid or incredibly shellfish and coward. PMAA needs to do what his country needs to do. since when is an Ethiopian premier to be responsible about the internal issue of Eritrea? So, just let the few stupid and coward Eritreans cry. Because they don’t want give up their life style, family and welfare check, yet they wanted PMAA to do their job. hell no. my point to the coward Eritreans is shut the hell up and eat what ever your masters are giving you. Tplf cruel and corrupt system needed few woyane billionaires and thousands woyane millionaires of Tplf generals and cadres to make millions Tigrians out of poverty. That system has been hindered if not collapsed by 27 years struggle and sacrifice. You can not blame the majority of Tigray neither stop the panic for all Tigrians because 27 years economy was based on wrong assumption that 6 millions can colonize/ control the 100 millions fate or livelihood. .
Why are these people accusing the PM ? What does he has to do in order to make the Tigray based thieves happy? I don’t think people who are hell bent to their small circle are ready to such kind of peaceful guy , I mean we have seen Meles , Dergi and Hailesilassie, all three do mismanag the people but if you read deeply it was only Meles who divided , gave land to Tigrians and looted Ethiopia by colliding one ethnic against another. Did you ever hear Meles preach love or Ethiopianism ? I don’t. Since when do you think we have such leader in the region? PMAA may succeed, or he may not in his big mission to transform ethiopia. We cannot know the future. Nevertheless, one thing is for sure, that he is moving in the right direction. If ethiopian politicians are cursed that whatever they are given turns into ashes in their hands, nobody should blame him for that. If he succeeds, he may influence and pull out IA to the forefront and force him to make a reality check, so that he will be compelled to reform himself, and thus change the fate of eritrea. The answer is simple. Do what exactly tplf has done against Derg. Declare Tplf illegal party according to the crimes it has done against Ethopians based on facts, send all key members to prison including the generals and securities, throw out each woyane form the military, confiscate all properties of Tplf. Death penalties the way Tplf court had ordered on the dergs. This is what expected of him but he chooses how to convert woyanes to Ethiopians or they can leave Ethiopia for good if they think ever again to use Ethiopia as commodity for only the betterment of Tigray regardless the missery and pain of Ethiopians. Besides how could they believe him that any human being can do such a decent thing based on what they have done against others. According to some Ethiophiles, we are going back to the 1950s. Kim Hanna’s suggestion and recent radio Assena’s news has prompted me to read a bit about the late Zewde Retta. views are not only swinging by days but by hours as well. As I get hold of more historical documents and aware of unknown facts, to some extent, I feel and convinced myself, I have been living on dark. I am now trying to re-train my brain as if I were going back to year zero and start from a clean slate. Zewde Retta was an accomplished diplomat, journalist and above all, was a die-hard royalist. He defended the king until his last breath. I have been trying to buy his book on ‘yEretra Guday’, but it is quite pricey—$30. In the USA’s Amazon, you can buy it for $7. After the death of George Bush, some historians have been re-revising their harsh assessment of him when he was alive, but now trying to give him some positive spin. Although I was not even around during the King’s reign, and despite all the negatives I have been fed, I think I agree with Zewde Retta that history has been very harsh towards the king and should be revised. I read the book years ago. And of course I had to push myself to the finish for I am not used to reading Amharic texts. That said however, one had to read the book with a grain of salt. As you said, the writer was probably privy to otherwise inaccessible historical discourses but in the end, history more often than not depends on the person who writes it. There is no question to the fact that Eritrea’s struggle for independence was just. It was a just cause. The will of the people was to stand on their own and to chart their own destiny and it was wrong on the King’s and later on the Dergue’s part to contain the will of the people. One can not rely on historical justifications to make a case of Eritrea’s past history as one and part of Ethiopia if again the people opt to be independent. Failure of recognition of this fact gave rise to the protracted war. Moreover, Eritrea’s troubles after independence is not at all related to the cause and need for independence for they are mutually exclusive. I am trying to draw a parallel between the 50s and our current predicament. We always blame outsiders and felt hard done by the west, particularly the USA’s admin, but whom are we going to blame now as we are on the verge of repeating history. Eritrea’s geostrategic location has always been of interest for the greater powers and the main players with in the grander scheme may have changed in comparison from the 50s but the fundamentals are the same. Perhaps more players have come to the fore as in China and the Gulf states to mention but a few. But again, the question is if Eritrea is to be made a pawn within the dynamics or a major player waging a bet from a strength vantage point. Internal structure including economic bed rock and solid political institutions gives Eritrea a leverage to be taken serious as opposed to being a pawn for the highest bidder including for Ethiopia as well. Ostensibly, Eritrea is not only lacking the fundamentals to be taken serious but it is regressing by the day as well. Eritrean political actors in the 50s chose civil discourse over violence and antagonism when they charted out the roadmap for Eritrea and it was later on when the King planted division with in the players that things started to fall apart and blaming it on the outsiders started to take hold. 60 years later, we are not paying for what had gone wrong right in the beginning, rather we are going through a political and social transformation as the rule of the game changes and the players change as well. For instance, if you notice, the Eritrean Opposition in general has been going through pivotal stages where from a distance, it seems stagnant. In the early 90s, it was mainly of ELF members but gradually new generation started to join in. More over, the debate was whether through using force or peaceful means; federalism or unitary; should PFDJ be included or excluded. These among others are a sign of political growth and phase based transformation. And now, the tone is changed to the extent that Isaias is taken as the enemy where Eritrea’s independence is at stake far greater danger than during the Badme war when the Weyanes were thought to take over Eritrea. Point being, the Opposition groups have found a unitary rallying cry not based on ideology but on moral imperatives lest the blood of the fallen Tegadeltis is not in vain as the very spirit of Eritrean independence is under attack*. The Opposition is not only in a far better position but also far from blaming it on external players. *Zewdie Retta’s book is now on CD and last week, there was a ceremony to that effect in Addis. If you have listened to the emotionally charged speeches of the Amhara elites during the ceremony, you can see how deep the onslaught has gone to reverse Eritrean independence. And as “Mestyat Bietna” poignantly put it, the Eritrean Embassy is a walking distance from the place where the ceremony was and there was no word of protest or indignation from the Embassy. Silence often times than not is taken not for indifference but endorsement. Perhaps the latter could as well be the case. Zewde Retta book is a must read. I admire his honesty regardless of his loyalty to the king. His account of the UN corridors decision making process and his assessment of the Russians advice regarding the Assab just before the federation decision was the most realistic part of the book. I admire Zewde regardless of the contents of his books. I have always been very critical of the 40-50s generations for not writing their owns’ history. They are the most educated generation since modernity. I was surprised to learn that Alula’s biography has been written by non-Habesha. He will be remembered in letting Eritreans alone solve whatever internal problems they have and all are welcomed in Ethiopia as our closest neighbors in many different levels. I think the excitement of ‘ let’s go to Asmara’ trendy talks in Addis are subsiding slowly and more sober analysis are coming out. Although I am in favour of the open door policy but regulated. We are far from coining a legacy. Abiy soon will configure how Tigray region plays it’s role in relation to Eritrea. Or else the coming election will fix it for him. I am sure the reverse is not true where “Let’s go to Meqele or Addis” is not letting up. And of course there is a plethora of reasons for the people to get excited anywhere but in Eritrea. Abiy was a guy in a Zen trance to riding on Tao clouds and a statesman in-between. But not only he is losing his luster but it is so tempting to take him for a charlatan if not an outright phoney. Tigrai is certainly a thorn in the back for Abiy and Isaias. The strategy it seems is to groom Tigrean Opposition parties in a bid to sideline the Weyanes but as you put it to make them less relevant in the coming election as well. The Weyanes on the other hand are focusing on the winning hearts of the Eritrean people. Incidentally, BBC Tigrinya did today a seven minutes interview with Abay Tsehaye and in it, he literally pleads with Isaias to bury the hatchet and let the bygones be bygones. The whole thing is interesting to say the least. The majority of Tigrians are liberated from the concept of Eritrea or Ethiopia. What we Eritreans and Ethiopians call home has a complete different concept in the mind of the new generation of Tigrians. What you telling us is how the indecent virus by the name Tplf survives by switching the hosts to and fro depending the quickness of the immunity system of the hosts. Now Tplf virus sees the Eritrea is easy to jump to. It has been like this always. Exactly what the great YG recommends in on of his recent talks. Brotherhood with next door in south so that they can influence Abiy’s govt. A typical weyane cadre with a typical lies . Nothing new though. You have praised ENN , do you remember. Don’t you think we can have a civilized discussion if we just stick to the message and challenged the ideas without unnecessary, incendiary insults? Just thinking. First, I have to thank you for always managing to stay composed aand for keeping your comments coherent. You have been that way, always, and I thank you. What you suggested is the right approach but the Ethiopian politics is still chaotic – as bad as the Eritrean discourse where extremists have a louder voice. Now that we are on the same level as far as discourse is concerned (and I recognize the free space in Ethiopia) maybe we can have mature discussions away from the sound bites and sentence with half insults. I am confident the political discussion in Ethiopia would hugely benefit from your assessment of how Ethiopia handled the Eritrean case, in comparison to the current nationalistic questions arising here and there. I think you mentioned in some of your post about what the PM said to the opposition when they had meeting. A couple of days ago, I saw the video not it’s entirity but some of the questions asked by the opposition leaders and how to prepare for the next election. The forming of election board heads by Birtukan. I may missed the comment you mentioned, but from what I say, I think it looks and sounds all positive and in the right direction. If this continues and leads to peaceful, fair and free election, I think it will be a monumental moment for democracy in Ethiopia and the region and for that he will leave a lasting legacy. The aim of the reform in ethiopia is to correct the flaws of the ethiopian society and to bring the country on track so that new horizons of opportunities are open to the country and its people as a whole, and not according to their ethnic affiliation. You are right, in general the election talks prepared in three phases was good. I was referring to a particular hypocrisy statement… not much. In any case the ‘reformed’ EPRDF will be using the existing structure to mobilize millions of election observers, thousands of polling stations etc. .. there’s always the risk of doing the habitual things unless pressured all the time. Free press alone is not enough to feel content about what is going on in the country. Press is the weakest fourth authority that could be silenced very easily. To feel stable all four authorities should function in parallel or there is a big problem in the system that should be solved immediately. I think, how dictators move to compile power in their hands is understood and many don’t miss it. I totally agree. The media is, more of aggregators, not in a position even to report outside Addis; given the repressive recent ‘past’ and many reasons. I was just sharing the political trend potentially gaining momentum. There’s some hope on the assignment of a supreme court president out side the political system. The parliament and executive is up to the election, without going into the how. Are you really that simple. I am telling you they are selfless and they are not there for themselves but fur their people. If Andargachew was flying over Ethiopia on route to Eritrea, wouldn’t he be worried? It’s good to know you are advocating for the land of your queen. The same land and people, you accused “keTrsachew Werq neTqow yabarerwachew Ethiopians”. And who is going to forget, the verification of ERITREAN ambassador in Ethiopia, as money laundry officer. Not to mention, Eritrea yeglachen, Ethiopia yegarachen mentra. How quickly we forget. Wey zendro yilal Efrem Tamru. I am glad to see that you were wrong all along about Eritreans :). Where is Netsereab ( the old ELF who was a taxi Driver in KSA ) until weyane shipped him back to Mekele with his two kids promising to be a key in weyane administration of Eritrea . He drove weyane landcruser for almost 6 years and when his wife knew he was committing crime against his people she apparently asked him to send her and her two kids to Europe, within 6 months his family flew to some European country ( I know where too ) ,As the Ethnic federalism of Eritrea designed by weyane and approved by people like Amanuel.H got falling, she asked him to join her but he refused and became single as he adapted to the weyane land of prostitution. Then he got tips from people who are close to some observers of Oromo opposition and the fracture of weyane rule , he ran away leaving small kids with arms and no food or money . Why I am telling you this ? Just to tell you that most weyane goons Ethnic federalists of Eritrea are self loving creatures without dignity. Of course there are few selfless people but most are blinded by hate and waiting for revenge is killing them alive. I don’t know the guy or if the story you are telling us true or not. Since I suspect that you are from president office I take your words for it. Yesterday I wrote you something but you didn’t seem to get around it. Are you saying ERITREAN opposition exist to serve the interest of weyane? As long as there is a government it’s natural an opposition to exist. There were many ERITREAN opposition before TPLF and PFDJ fought. Not , completely not at all , the Eritrean opposition circles is to big , Berhe you have to understand the circle we all going is to minimize the the bad once so that the good once can raise up to challenge PFDJ . It has been almost decade since I believe that without removing the toxic once there is no way the opposition can garner a sizable support from Eritreans. You mentioned the Johova and many others but these are not owning the table and they never was in the table. The opposition leadership is the one I am hating, not the ordinary person who oppose PFDJ . Trust me the day these toxic people got away the Eritrean opposition can come back to life . Even in 1991 there were Eritrean opposition in Ethiopia and I can give lists of names. The hawasa people plus the Qerenlos clappers , well they have intoxicated the opposition with their evil plan of weyane and don’t ever forgive them. I don’t know him. As a matter of fact I don’t most of them unless they write something or something is written about them here in awate.com. The reason is simple because it’s lack of time and I have to use my time wisely. Now going back to the opposition or the guy you mentioned, I am not agreeing with you that he is wrong in what ever way he decided to struggle, even if he is paid by TPLF. 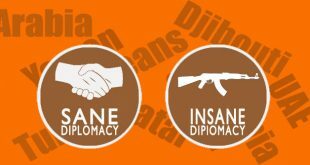 I think everything is Halal to fight IA and PFDJ. It’s really simple, because he and others like him are not able to do it peacefully in their own country. Until IA change his ways all is good, unless their struggle harms civilians and public infrastructure and violence. 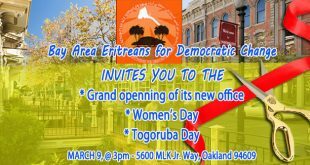 For this reason I am always with the opposition even if they have the position to break up Eritrea, to bring ethnic based politics or what have, as long as they want to advance their cause peacefully and leave the decision for the people, as in allowing the people to chose, then it’s all welcome. I live in a country where people openly talk about breaking it up, ethnic and religion of all kinds are respected and multi cultural is celebrated. And it’s tge idea that wins the argument and not who is making the argument. I am confident ERITREAN people will never be divided along ethnic lines, along religion, region or pick up arms and kill each other in order to gain power (for sure not the opposition). The problem I have with you is you are not fair on your blame of the opposition. You expect them to act like a government. The owe us nothing because what ever they do is out of their own money (or someone gives them voluntarily) their own time and resources. They are not government spending people’s money and resources as they wish. Even IA until sept 18, 2001 I gave him the benefit of the doubt that he was doing the right thing and he started the war but couldn’t get out of it easily. Even when I read the G13 letter, I thought he will do the right thing because election date was announced etc. You never stopped talking to amuse me . I am glad these people failed , I am glad most Eritreans are not like you , I am glad that people like live their life far away with their toxic things, I am glad that your weyane babies are dead and removed from near Eritrea, by the way you are a weyane swearing teeth . You keep telling rubbish with your weyane teeth wide open mawing to defeat . What’s that you see that makes you optimistic about breaking Eritrea ? The California meeting ? That’s just an excessive number of grim reality. No apology to weyane sympathizers. I think we were going onto something but not really. I think you have to understand the difference between peoples freedom to express themselves and the reality that will happen. In regards to Eritrea breaking up, I am saying to you I support they’re right to do. Do I support the break up of Eritrea HELL NO. And I am confident all ERITREAN people, the majority of them will say HELL NO. In democracy there is no two way about it, it’s either you allow people to express themselves or you will forcing them to pick up arms to fight for their rights. I would rather see these people or any opposition to express themselves freely in their own country rather than to resort to other means. Eritrea is not a 6 months year old that we need to babysit, it’s people are mature and they know how to keep it together. They are not going to follow all crazy ideas because someone said it. As far as the real danger to Eritrea unity and integrity is there is no worst enemy as PFDJ. The only reason Eritreans decide to pick arms and fight to separate is because they were denied the right to express themselves freely in their own country by the assimilation plan of the king. Otherwise they do not have the love of dying and martyrdom. I can guarantee you I will be going home and all opposition who are forced into exile will be go home. Brace for it. It’s the law of nature, everything that goes up must come down. IA will be down in my life time. 2) Send to jail any journalists charging teorroiss if he or she compares Tigray with other killils. 4) If the mass arise declare states of emergency and kill any one who stands for their right. I am wondering …“ካለ መለስ በስተቀር ሌላ ወንድ በኢትዮጵያ አልነበረም ማለት ነው？I am writing in your language because you have typo errors or you are writing “ዘራፍ እያልክ” Write with you mind not emotions. For Christ’s sake, where do you see the rationality of not starting and now abandoning the gerd? If all his other actions on human rights, corruptions and his hate for ethiopia were not deplorable, MZ could have been appreciated for starting the gerd and for keeping the AU in addis, even by not allowing the statue of HSI, so as to undermine his legacy. Snatching power has always been part of ethiopia’s history, HSI – the derg – tplf – and now as you say oromos and amharas. After all, whose power? Power was never legally owned through democratic procedures (free and fair elections), and we cannot say that it belonged to this or the other political party, other than the armed group. Political power belonged to the strongest, either in ethiopia or throughout africa. Real and legally gained power that comes through free and fair elections we hope to see in the coming elections, if ethiopia succeeds to implement democracy. If the money was not stolen, the gerd would have been producing electricity by now. Therefore, we cannot speak of abandoning it at this last stage, whatever the cost. Did I said Weyane was not a problem to Somalia, to Eritrea or other neighbors? No. I think you are agree on Eritrean solution for Eritrean problem. When Eritreans talk each other about their problem he should keep his mouth shut unless otherwise he is asked to give his opinion. Even if we argue about Whether TPLF was/ is a problem to Eritrean internal problem he do not need to jump in and bring what TPLF did in Ethiopia to mix with our problem. It is our internal problem and we are responsible to solve it. Since we are Neighbors the internal issue of each country influences the region. Discussion such issue together with all people in the region I agree, but interfering on the internal issue is the red line. Usually, the expression (قل والله) swear by God is used when someone is surprised with unexpected and unbelievable news that he dreams to hear accomplished. Why did Al-Sisi,the Egyptian president, request Dr. Meddamar to say (والله)? This makes many curious and question what was the unbelievable information that surprised Al-Sisi? Most probably Dr. Meddamar, in his first visit to Egypt, informed Al-Sisi that he will stop the GREAT ETHIOPIAN RENAISSANCE DAM (GERD). I think , this news made Al-Sisi feel excited and request Dr. Meddamar to swear. Now let us follow the assumption from the date of Dr. Meddamar visit to Cairo, so as to prove whether it is true or false. The first action executed due to promise the GERD engineer was assassinated in Addis Abeba while Dr. Meddamar was in his visit to the USA. Was that visit happened accidentally or it was a planned one? The reason that compelled me ask this question is its similarity with the conduct of Isaias who leaves Eritrea when he instructs for the assassination of important figures or flare up wars. Isaias was in Sudan when Ibrahim Affa was assassinated. He was outside Eritrea when the war between Eritrea and Ethiopia began. I think the same goes with Yeman war. Secondly, Dr. Meddamar has commenced to complain about bankruptcy that impedes him to complete the GERD in its fixed time. He feigns to forget that it is a rewarding dam that will solve a lot of Ethiopian problems and assist the country budget with a lot of revenue. As all of us know such great projects should be accomplished without delay even by taking loans. I think, it doesn’t hurt to do your best for such huge national projects that all the people of Ethiopia participated for its realization. Lastly but not least, from that day of swearing (قل والله), Al-Sisi and Egypt are in a great repose; no complain to be heard about the GERD or the Nile River. For Al-Sisi, Ethiopia is in the hands of two great loyal guys, Isaias and Dr. Meddamar. To understand where Dr. Meddamar heads, we have to follow closely the GERD construction process and issues related with it. It seems Dr. Meddamar is in an industrious mission to gather around him, I hear and obey guys, the same like that of Hawan, the ever pulled camel. For Hawan leading or raising his brows in front of his boss is a taboo. He is devoted to serve his master wherever he pulls or directs him. He often chants: AT YOUR SERVICE, BOSS. The egyptian president was excited by the lie al sisi was telling him and the fake news the egyptian media was carrying. Nothing more and nothing less. Remember, it is not the first time, and will not be the laswt. Decisions on such a national project cannot be decided by one man, when it is the property of 100m ethiopians, especially when there is a constitution and a parliament. Any person who stands against the national interest of such a tremendous importance will not last a day. It is a wild dream by al sisi and those who want to see the interest of egypt fulfilled at the expense of ethiopia. It is equivalent to asking him to sign the 1929 and 1959 agreements, this time in a different wording. Will never happen. You said “The egyptian president was excited by the lie al sisi was telling him”…my question is who is the egyptian president and who is al sisi….I believe it is a typo? In my opinion if somebody wants to lie, the first person he lies to and wants to convince is himself. Otherwise, it is difficult to lie. That is what i wanted to say. Take for example the so called pathological liar. It is a world by itself, the liar’s personal reality. If president al sisi has said according to the message al-arabi wants to pass, then it exists in both men’s imagination, and not in the real world, for pm abiy can never be so naive to say such things, which will be against the national interest of his people, and certainly he will not dare without consulting his government or presenting it to the ethiopian parliament. In my opinion it is far from the truth. Event, assumption, proof and conclusion. Please, negate with proof before you jump to truth and lies. According to reuters the following was what transpired between the two heads of states. “Toward the end of their news conference, Sisi asked Ahmed to swear to God before the Egyptian people that he will not hurt Egypt’s share of the Nile. “I swear to God, we will never harm you,” pm Abiy. He even said that he will work with president al sisi to increase the quota. How do you interpret this? Is this equivalent to stopping the construction of the gerd. This is simply a friendly talk between the two and the peoples of ethiopia and egypt. Who do you think has the upper hand in this case? Of course egypt has rights over the nile. Who denied that as long as it depends on the nile, and the nile is a transnational river. The point is if egypt and sudan will have all the waters and ethiopia none according the defunct agreements, and ethiopia has no rights to use the river for her own economic development. Do you expect pm Abiy will surrender ethiopia’s rights? Preserving egypt’s right does not mean abiding by the defunct 1929 and 1959 agreements to which ethiopia was not a part, or denying that the nile within ethiopia is an ethiopian river. Is he going to stop the construction of the gerd? Is that what you are saying? Otherwise the use of the water of the dam for irrigation by ethiopia is going to be minimal due to the dam’s site. That is why ethiopia is saying that there will be no major decrease in the amount of water reaching egypt as much as ethiopia is concerned. Was that not what tplf was saying? Egypt is stuck on the defunct agreements, and what she is saying today is the same thing, but in a different language. Let’s wait and see; the pm may disprove you again. Please grow out of the Tplf thingy. There is no use of flogging a dead horse. More importantly, you bigger problems to worry about as a country. If Ethiopia gets it right, the whole region would benefit. If not, the whole region suffers. The only right egypt is advancing is what it calls “historic right”. Abdcyou know what that means. I do not know what Abdcyou means, and i do not think i should care. Do you think they would let ethiopia gets it right without a fight? Nobody resigns from power so easily, especially when addicted to it. Not only did they resign but they also elected the man who is leading the change. Tplf elected him, the Tigray people welcomed him giving him a hero status. Ethiopians supported him to lead the change. Everybody was hungry of change. The whole world stood for him. If Abiy fails, which seems to be self evident, he has to blame only himself and his advisors. My hope is Ethiopia doesn’t fail with him. Sorry, tplf again. As there is no eritrean politics without ethiopian politics, there is no sense in discussing ethiopian politics without referring to tplf that ruled ethiopia over the last three decades, and still fights to come back to power. Therefore, it is not an obsession, but the real ethiopian politics, and be sure tplf’s negative legacy will be in ethiopian politics for the coming decades. Tplf was forced to resign and elect pm Abiy because it did not want and could not handle the hot potato by itself, as it (tplf) was the reason for the nation-wide revolt. Maybe tplf is a limping horse going towards its demise, but not yet “a dead horse” as you said. It has hijacked tigray and its people, it is hiding and defending criminals wanted by the federal government for crimes against human rights and gross corruptions. Where this will take tplf, the people and the regional state, we can’t say for the time being, but certainly, not to a bright future. Do you expect a long term good relations between the people of tigray and tplf, when due to tplf’s actions the people cannot feel safe to travel, live and work in other regional states, and local economy is going to plummet and its effects soon to be felt, despite tplf’s looted money. How long will such situation would last without causing a discord? I was surprised when i heard a tigrayan activist calling on the federal government to use the military to apprehend the criminals as it did in somali and gummuz regional states. The constitution seems to have some reservations on this, fortunately. It must be on the demand of the regional state. Tplf regional government has the power to do the job, but it has chosen to protect the criminals. The suggestion by the activist seems to me adding fuel to the fire, and therefore i do not support it. The point is that how long will tplf survive as a reneged political party that has isolated tigray and itself? Don’t you think that with time tplf and the people of tigray will be at odds with each other, as tplf power will gradually wither away and economic problems will start to bite. In addition, even if tplf tries to cross the rubicon of independence, do you think tigrayans will follow it? Don’t you think that the people of tigray will be forced to abandon it at a certain point. You were saying at one point that it will grow stronger from its new position. Finally, is tplf really hungry of change as you say? If so why is it resisting change? Can it truly be part of the change when it is the reason why change was required in the first place, and while it is resisting the reform tooth and nail? The only thing that seems self-evident is tplf’s demise coming with time. My hope in my turn is that tplf would not take with it the innocent people of tigray, for dictatorships when they leave, they leave behind a destroyed country and people. After all tplf and pfdj have always been the two sides of the same coin. The odd thing is that while the pfdj seems to be coming out of the cold gradually, tplf is going in to it, by isolating the people of tigray and by using the known tactics of coercion, disappearances and extrajudicial killings. Hi Hayat; did you say ” There is no use of flogging a dead horse.” Who is the dead horse? are you saying the TPLF thugs dead? hahahahaha oh my; they are not only dead but some of already started to burn in hell. Thanks for coming clean lol you are a joke. I was referring to the agenda of blaming Tplf for every thing that some Ethiopians seem not to realise that now someone else is on the driver’s seat. They should stop mentioning Tplf beyween their breaths and start checking how the guy is mis/managing national affairs. They say, I requested from him to define water. He responded water is water. A way back before appearing Dr. Meddamar on the Ethiopian political scene and becoming a PM, the Ethiopian authorities assured and reassured Egypt and Sudan that construction of the dam will never bring damage to them. It is for power generation purpose only. Sudan persuaded by the propounding a long time ago, but Egypt was not satisfied by MZ and HD assurances. They were always pressing the 1929 and 1959 treaties to be intact. Now tell me my good friend, what is the magic that made Egypt sleeps on honey? Definitely, it is for a very serious reason. Ethiopians have to watch their guy closely or they will have before long a full blown dictator ruling their country. Literary the word “قل والله ” means say in the name of Allah. Linguistically it is used as an oath. Even in English we say in the name of God i will do this and that or I won’t do this and that. In our case Al- Sisi is asking Dr. Abiy to make an oath in the name of Allah that the GERD is not going to harm Egypt. Politically: both men are politicians and can use any word, including the name of thy lord, to preserve their interest. Neither Al- Sisi nor Dr. Abiy are considered to be pious for a religious person be an Egyptian or Ethiopian or Eritrean. GERD before Dr. Abiy was more publicized than after. I believe business is as usual with GERD: that the work is going on as planned. What is different unleashing fiery info about it ( for political reasons) has ceased by Ethiopian politicians which was resulting with corresponding Egyptian feedback. For Egyptians, they seem to understand that there is no going back , GERD is going to be built, but with out resulting any damage to them. Thank you for adding a new miraculous coincidence. Both Al-Sisi and Isaias were waiting for the angel, Dr. Meddamar. The former to sleep relaxed, and the latter to make peace. Really, it is a miracle that rarely occurs nowadays. Are you declaring that the topic on Eri-opposition is over so back to Ethiopian politics? Think of Awate.com without Ethiopia politics. One people two countries in reality show. Either you were not really follwoing the GERD politics or you are new to it. When the late Melesse Zenawi ( the former leader of your beloved TPLF) started to challenge the Egytptian on the river Nile issue, your foe Isays Afeworki tried to stop him. You how some times Eri- Ethiopian politices are intertwined. More ever , when the late Melesse Zenawi , ( who was aslso called by many Ethiopians , the first Ethiopian who had the real guts to challenge the Egyptian on the issue ( ኣባይን የደፈረ!) gave the green light for the GERD the Egyptians had to do a lot conspiracies with Isays, including the sending of their jet fighters to SAWA. Here you go again at kibrom lies as truth. Egypt has never sent a military jet to Eritrea and there was not a single army what so ever that kind to do bad to Gered . I think you are just trying the old tired lies again to feel happy about. News is news, even it is sour, you have to swallow it: I hate lies. Aljazeera is the home of lies and all their guests who push the Muslim brotherhood has been all lair . Second Aljazeera is buzy about the died conservative journalist who happens to be an old friend of a known terrorist. Now Aljazeera is simply going nuts about the kasoughi death and MBS going sollo dashing every penny Qatar throw to the lobbies. I don’t follow Aljazeera English and when I follow Aljazeera Arabic I tend to see only news not such lies . Aljazeera has been the factory of lies and waiting . By the way Gered is going on nothing stoped so pls hold your eye straight. Second see my opinion about GERD when I replied to Al-Arabi and then comment. You even gave me thumbs up for that comment and I thank you …are you changing it to thumbs down? How would you know that for a fact. Are you maning some command center? It is good to hear when people expose the thieves Tplfs. Stop trying to be cute here. We are talking about the allegation by Sudan that Egyptian soldiers are in Sawa and in Eritrea in general. You now there are more than 20,000 Eritreans in Sawa at any time of the year and you think no body could notice if there are Egyptian soldiers in there or in the border. Did you see any body giving proof that the allegation is true except Sudan backtracking from the allegation. Sometime it is good to use common sense. Now are we suppose to expect the Sawa recruit, who are snatched by PFDJ from their tender age (16) who they go through feer installation process as source of exposing / inquiring about the secret business of the regime of IA.. The problem is you take the words of PFDJ at face value. You have 100% trust I have 0%. I actually believe Blink what he said as close to a fact because I think he works at the Command Center if the president office. He saves everything that’s posted here at AT and he keeps track of everyone:). Sometimes bichiq yiblo and spills it out. Hi Brhan; when you said ” gave the green light for the GERD the Egyptians had to do a lot of conspiracies with Isays, including the sending of their jet fighters to SAWA.” You exposed your stupidity. There is a difference between ignorance and stupid and congregations, you proved the latter. What is your sources when you said ” including the sending of their jet fighters to SAWA.” show me your source or proof and I will recant my ” stupid” comment. I typed my source but as per awate. moderator they do not allow it on week days but if you google this “Why are tensions rising in the Red Sea region? Egypt sends troops to Eritrea as Sudan and Turkey ink a deal to rebuild a Red Sea island and construct a naval dock. 16 Jan 2018,” you will find my source and then correct me if I am wrong. You are naive if you are going to take as face value what Sudan alleges with any proof in January. If you are following the news Sudan is backtracking from the allegation since it was not based on fact that Egypt have soldiers on Eritrean soil in January. So the brave dead Meless sent his devils and chose Abiy to save both Eritrea and Eritra to change the tension to happy ending. This miraculous devil never stop to surprise us. When you are the poorest of the poor pray that a cruel rich man wont find you because you never know what he or she is going to force you to do for piece of bread. One of the poorest of poor of tplf member had said that the wealth of the Efort brought by Tplf before they came to power so he said people say rubbish thing about Tigray wealth. Your Meless went war with Eritrea not because he was brave but he had 100 million people against 5millions. And since you know the history he sacrificed 70,000 to kill 20,000. You do the math. You brave Meless when he announced his mother land Tigray five years plan people said it is too ambitious. After a year or so he said you call that ambitious i declare GERD is also part of the five years plan now. As a Dedebit graduate had forgot to mention GERD in the five years plan. Or Egypt was falling to the fundamentals of Iran so the cruel rich man played a cruel jock on the brave man. The brave man disappeared without warning. Anyways at least he made the dam some use of it for mother Tigray. He invented a woyane committee by the name Metec which has channeled the money for the dam to develop Tigray. Now you know why the Metec thieves in handcuffs is considered by tplf as degrading the great people of Tigray. Did you get the news “Egyptians had to do a lot of conspiracies with Isays, including the sending of their jet fighters to SAWA” from Sudan. Could you tell us were you get this made up fake news that is already debunked since Egypt did not fly any fighter jets to Sawa. Aljazeera horn africa based in addis ababa director name is Mohamed taha and AP agent in addis is Elias meseret. Do u know who they r? I thought so. Did I satisfy your appetite? They r ur source of information. Day in and day out, you prove your naivety. Really, you are a local guy. This shows that your ignorance about the economy of the dam in particular and the country in general. According to the fixed time already 2016 January two of the turbines supposed to start if the Ethiopia’s export has been 3billions dollars and the import of greedy beggar tplf has been 9 billions dollars. So grow up. Your pest-copy is confusing you that you know better but a single sentence from your knowledge immune brain says it all. Before you discuss leaders know your capacity how far you can criticize them. Hi Girmay; you may think it is rude to tell the truth but the truth needs to be said and no one is qualified other than the defender of the truth, yours truly. if the lost souls are not ashamed to go all the way to Hawssa paid by charity; do you think I am being rude and disrespectful by telling the truth? This happened when the Eritrea was under the grip of TPLF thugs. To even go further who ever made the trip and accepted TPLF money should be disqualified from any Eritrean political activity. ANY! So as you can see I am not labeling anyone; rather I am calling them out. I think we have a cultural difference by the way I see and the way see. I am guessing growing in Africa you probably trained when you see wrong to look the other way while my training is when see wrong; call it out, stand up and talk about it. so, I understand why you find it my take rude and disrespectful. However; it is not. I am no hater if few old Eritreans collect few dollars for their retirement from FEZAZ Weyane but still needs to be said. wrong is wrong. All that money Weyane lost on Eritrean diaspora to Hawassa could have helped the crippled former TPLF fighters who are struggling day in day out but no your weyane must show off. You can apologize all you want but wrong is wrong and it needs to be called out. Girmay; for once stand for the truth not for politics!!! Now Mahmud wants the “so called opposition to mum. What do you consider AWATE.COM? An opposition website ? #4 And you said do not engage PF(DJ) an enemy…you must be kidding…and you must be new to awate.com….haven’t you heard how reps of PF(DJ) tried to hurt the image of this website and its founders and administrators? Are you trying to be a prophet..to say..if someone slaps one side of your face give him the other side?. Also what is your understanding of the opposition? Political parties? yes for sure, such as the Eritrean People’s Democratic Party(EPDP) and guess what Mahmud, EPDP did not to go to AWASA. But our opposition , also includes members of the civic society who do not belong to any political parties. The civic society who are challenging the regime in Europe and North America, for example have played a big role in making the 2% tax illegal and in making PF(JD) reps who refused to obey its illegality to be persona non grata in some western countries. In addition except in the middle east and Africa PF(DJ) meetings are done in secret (Wahyo again? ), while the opposition meetings are public and the onus goes to the opposition, that includes members of the civic society. Last but not least the opposition includes individuals who are not organized in civic society but who are active and they include exiled veterans, writers , singers, actors and etc. Anyway, they don’t take my advice, but something keeps me offering it every year. Here it is repackaged for the moment. For the so-called opposition to come out as a relevant voice, I think the following suggestions are worth taking. 1. Throw away the word opposition, find new trademark. The term opposition has been really muddied in Eritrean context. I would suggest PFDJ 2.0, and appoint PIA as an honorary chairman. 2. Change the faces in the “opposition” that made Eritreans associate it with Wayane. You don’t need them anymore. 3. Change agendas. Come up with something that tell the public that you are up to speed with the changing region and in agreement with what Eritreans consider their priorities: peace, stability, economic revival and political rekindling. 4. 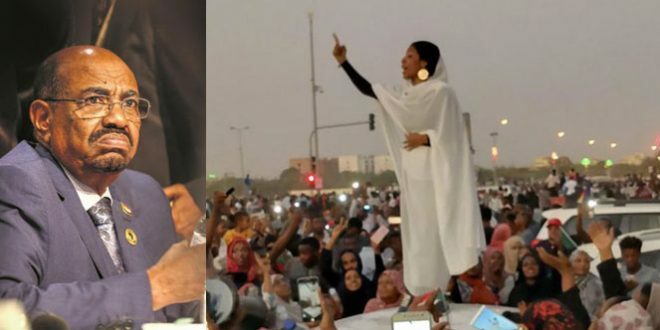 Change the bone marrow of the “opposition” by letting it become inclusive: let the young and vibrant sector get involved in it; let the women get involved, liberate it from the cyndicates of factions and individuals of narrow interests, let it come to the center and be owned by the people; don’t engage PFDJ as an enemy, acknowledge it that it is a national political organ and challenge it on that basis. 5. Do #4 above and shake off Awasa, Mekele and Debrezyti stuff, and get ready to head to Asmara. 6. My prediction: you will continue to be the opposition to the REAL domestic OPPOSITION that Eritrea’s next political realities are going to produce, because you are JUST opposition, not a viable alternative. One who hate opposing DIA, can’t offer an advice for the opposition. Absolutely no need, and you don’t have the respect to do that. If you want to be an adviser and have any idea worth of advice, offer It to your “honorary chairman” of your party, though he doesn’t have ears to listen. Gebito. He is not telling Tplf to change. He says the Eritreans associate the term opposition with Tplf. You could have understood if you know the Eritreans at home. Oh, sorry, that was not your main concern. This is Eritrean talk. First knock the door please do not jump in without permission, this is your neighbor house. ስለሰፈር ስናወራ አብረህ ታወራላህ እስከዛ ዝም ብለህ ተመልከት ወይ አዳምጥ. Whether the Eritrean opposition associated with tplf or not it is Eritrean people problem. If you think we are added according to PMAA and DIA calculation, you are still in grade one mathematics level addition only for positive integers but we are negative in respect to DIA as our name implies to him opposition. Positive and negative number addition is subtraction. In this forum the knocking is to say hello and keep the room tidy with the forum guidelines. So learn to keep the room not filthy. Read the guide lines if you are not sure. Your high level mathematics confuses me (1-2= አይችልም ). Anyways I think the PM is trying integration. But when you say you are negatives then maybe that is the reason the oppositions dispersed according to the physical law like charges repel one another. So if you listen carefully to what MS is saying then you are obliged to try not wipe out PFDJ instead put them among yourselves so that you can reduce the repulsive force. PS. Dont use the PM’s መደመር (stress the second M) in your daily transaction. I do not mean to discuses on this forum and I did not say it. I think you do not understand me or you make a political decision to escalate the issue. Here in this forum I am not the one to allow or not allow. It is Moderator’s right. I think good thinking person will not disagree on integration based on mutual respect for economic and social development. Let me ask you: do you struggle for the wipe out of ኢሃድግ? and will you not happy if TPLF wipe out from Ethiopian politic? What wonders if Eritrean people work for the wipe out of PFDJ? In my opinion Eritrean people will not disagree if PFDJ comes up with a solution to bring a fundamental change in Eritrea. Like let the people decide about his fate. Then we will see if the result by default will be a leader change and make accountable those they make crime against the people. Like we see in your country. Are you not happy about what is going on in your country? we want also be happy like our neighbor. I like the second M because it does not change your natural physical property. HI Aman-H were you among the people who traveled to Hawassa at the invitation of the TPLF thugs? I am asking in response of your defensive position you took against Mahmuday’s opinion. Why are you offended? Mahmuday said nothing wrong? what is up? hmmmmmmm you people are confused. Yes he was and he was in two dishes , 1 hand with civic association and the 2nd hand with political parties. He was there , he traveled from addis to the place by Buss . He has weyane handy man telling him how weyane looted Ethiopia. The fact is Mr. Amanuel is being honest about himself that he knows nothing about the new Eritreans flocking under . He only has one vision and that’s Ethnic federalism in Eritrea just like the weyane THUGS plan . There is no end to your lies. Where did I prescribe let alone Ethnic Federalism, any kind of Federalism for Eritrea ? Can you show to your readers. If you are illiterate about the variety of governance in case, Decentralized Unitary Governance (DUG) is not “Federalism”. Furthermore, let me give easy to grasp the difference: All decentralized unitary governance are not Federalism, but all Federalism are decentralized unitary. I advocate for DUG. Take it as a class in the “nature of governance.” Ask to learn instead blackmailing people with things you don’t know. What exactly are good at ? I mean away from your pharmacy job . I mean no disrespect for your contribution in the hailesilassie time or until you ran away from ወዲ ዓከር . You may take your rigid world as defined one but it is not for me , I find your views to be just Meles point one . You are just an ordinary weyane cadre , nothing more nothing less . And if I need my reference on the subject that you are bragging high about Ethnic federalism it power by affirmative action , I wouldn’t find it with you because you have none . You are not even close to the people I consider have a small caliber in this field . Thanks for trying though . So you admit you have been using your daul hands in the Eritrean weyane made opposition!!! Ahm one civic society and another political party. You are being defeated by people you never thought about. It is Over for you and it is the beginning for the new Eritrean opposition who will do just the opposite of your will. What exactly are good at ? I mean away from your pharmacy job . I mean no disrespect for your contribution in the hailesilassie time or until you ran away from ወዲ ዓከር . Why don’t you tell us what you are good at? Since I don’t claim to educate people ,which means I am holding mine from bragging about educating people for things I am not good at . But he is not. ናይ ምንታይ ድፍረት እዩ’ዚ ትብሎ ዘለኻ ? He openly admitted he couldn’t tolerate the existence of ወዲ ዓከር , this is not that I am accusing him of hating wedi Aker , he told us in this forum. Therefore, bring the evidence of your accusation to your readers. I asked your to come with the evidence in your earlier comment. To no avail. You are successful to blackmail many decent people unabated. For sure this forum will be for you and like you. That is how it looks. As I said many times , things are over for you and your Hawasa financiers. with that of wedi Aker story , I am not sure why you wanted to reject your claim , why don’t you copy past with your intention attached . Everything is an ethnic or a party politics for you and that is inline with your Meles patronage. You are trying to educate me about everything my problem is that I am not good at Tigrinya but I promise to read you from your weyane windows because that really doesn’t require any skill because of the nature of the subject is deceit. Hailes: ራእይ ማሕሙዳይ is yhe only available track for yjose who have tje courage to admit they have messed up the Eritrean politics. They have frozen in time. I have always said these entities can’t bring change without underhoing change in themselved. It wsd a vouple of years aho the we heard about ENCDC holding a meetings in Bishoftu (Debrezeyti).At that time i said ” ታድያስ ምን ኣለበት ቢሸፍቱ? ድሮስ ኣልሸፈቱም እንዴ” and Isaid similar to the Harbegnawi sugesstions i gave them today. We moved on,the region has moved on and planet earth has made thousands of spins but they have not moved an inch. They could not even explain the ongoing change coherently. Of course, they as well as their patron, the TPLF, were caught unprepared. Hayat Adem is a witness. It was painful to see entities controlled by a TPLF General and its security apparatus talking in our names. Anyway, what I’m suggedtion is doable. I’m calling on those elements whose intention is to contribute to the country’s wellfare to disassociate from the disheveled “opposition” forest that has become the hiding place of all types of anti Eritrea activities. They have more in common with most Eritreans. Most Eritreans care about change but they are not prepared to do it in the expense of the nation. That’s why encouraging an inclusive national dialogue is the smarter way. You can’t do that when you define PFDJ as an enemy. Just look at the opponents of this proposition. They have one thing in common and that is the unconditional reverence of Meles Zenawi views. They try to look at Eritrea’s problems thru MZ prism. Your new title is for the original wax & gold you coined and that I missed at that time “” ታድያስ ምን ኣለበት ቢሸፍቱ? 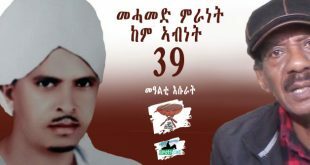 ድሮስ ኣልሸፈቱም እንዴ””. On my question, you quickly jumped to TPLFia leaving me again hungry. I don’t want to stay on Zenawism. I am Done! Few days ago I made a call to end the perpetual EPLF-ELF proxy war in TPLFia in one of my comments, but didn’t get feedback. I guess it has unfortunately become our bread and butter, all camps included. Lets get out of that bottomless pit. Now, what is this thing that was revealed to you and to Nitriccay as well that wasn’t to us to get so excited about? እንተተረፈ ተረፈ ይኸውን መዕጸው ኣፍና. Saay the best has a article titled “Time for Militia Taff To Join The Eritrean Government”. Check it out if you haven’t, here is some. “because the criminals who committed these heinous crimes are still in charge and at large, we consider it an act of betrayal of treasonous proportions to ignore the suffering of our disappeared, imprisoned, raped and exiled population to celebrate the fact that taff is now selling at 1,200/quintal. F…k taff.” I love it. Thank you, Berhe for the info. Just read it. It is a masterpiece! So he suddenly has the audacity to put people who disagreed with him in his old position. I think ምልሻ ጣፍ must be phrase of the year. Now you are saying Saay needs help with his twitter. You can say anything else you want but needs help with twitter / his english really. Are you saying all the stuff IA accused of, proved and in fact has admitted responsibility is not true (may be not with Sudan but for sure with Ethiopia, Yemen and Djibouti). You know misinformation is the word of year according to dictionary. No, you misunderstood my point. I am saying saay buddy Shewq Ahmed plus all saay points of campaign for sanction all the points I mentioned are a stain that saay can’t offload . Nothing has changed as far as saay stand for justice and advocating for the wronged. Didn’t you use to cheer for him to lead us, with the stain that you are saying he had that can’t offload. What has changed now? Taff? I don’t know who this guy Shewaq Ahmed is, but if he is a fried of saay, without even knowing him and what he wrote or said, he is my friend and a friend of the Eritrean people, if he is not Eritrean that is. The principle is the same as Martin Luther said “Injustice anywhere is a threat of justice everywhere”. Hi Berhe; you are such hypocrite loser. it was not long ago you wre declaring that PIA will never accept the peace call by the Ethiopian government. Dude, have a shame and shut your pie hole. Now you are trying to play the higher moral ground. I can’t stand double face people like you. Besides what is to you? you are in Canada and be happy with your welfare and live your life like a pig in Zimmermann’s farm. I rather be a Milisha Taff than scavenger of a welfare, just you know. I think from now that’s how I am going to call you. ምልሻ ጣፍ. 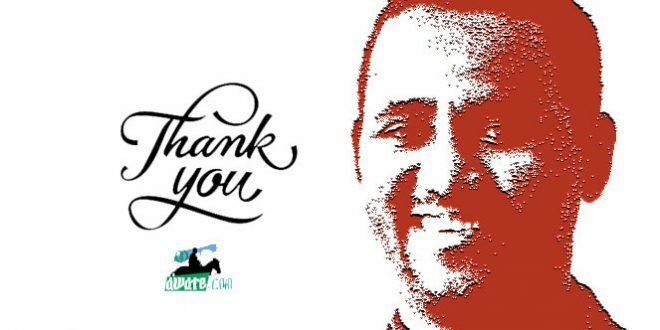 Thank you for reminding us to visit Saay’s blog. “Militia Taff” the same as in “militia sernay” are in full swing to confuse and misinform the Eritrean public. “Taff” in lieu of “human rights”is their slogan of the day. Saay came with the right topic for his piece. I have been here long and I read MS all comments, I mean all . He is not a division based guy , he doesn’t give his views for the sake of getting support from some or fearing outlandish attacks from few in here , I wonder why everyone think that he or she has a knockdown argument against a true character of Eritreanism ? I mean most these trying to score has been telling us their best vocabulary to praise weyane and now what ? Come on Meles story is not even started to come to the sun . I mean if your handy man in Somalia region able to kill 200 innocent people and dump them in one whole , how would that be in Eritrea divided view of weyane . Let’s also admit that the ball holder has the power to throw where ever he wanted and that means there is no way we can just lampshade everyone as PFDJ just because he oppose your view or my view , we are talking still about our views . Ok fair point, calling everyone PFDJ. Now please apply same logic, is it fair everyone who oppose PFDJ as weyane or their sympathizers. I mean everyone, who went to Awasa for conference and even used the term opposition. Quick question for you. ERITREAN opposition existed long before the war between PFDJ and TPLF. In fat the first congress that formed the umbrella was held in Toronto. Long before those who want them to abandon their principle and fold to the PFDJ, they were advocation for the Johova witness, the Muslim teachers, the disabled war veterans, the journalists, while others were mute and minding their business. PFDJ was hunting ERITREAN opposition figures from Sudan and Ethiopia. I think two names I remember, but one is some Tesfay Ghebretsadiq where his sister, Freweyni made a heartfelt appeal in dehai for his abduction. If I recall it was before the war. You are front and center blaming all Eritrea problems to the opposition, knowing well that they have nothing to do with it. They are weak, they are disorganized etc is one thing, but to actually to put the blame is really a crime. Have they hold people hostage, have they get paid, have they mislead the people, have they start a conflict harming the innocent. At best they advocated for the wronged, at worst, they spend their time and resources without seeing change for a long time. So a little honesty is required. I agree with you that Mahmoud writes in good intent for Eritrea. Equally, others do it for the same reason. The knockdown argument is an instrument that everyone of us try to throw in our own way including Mahmoud. The real knockdown punch is coming from our regime, who haven’t shown the slightest intent for change, haven’t answered to the outcry (spelled or not) coming from its citizens inside and outside the country. As the result, we are hitting each other hard between ourselves here. You on occasion, Mahmoud several times had denounced the way IA & Co are running the country. They haven’t flinched an inch from that stand relative to Eritreans. And that is where we need to concentrate. IA & Co are telling us Weyane are done. If they are done, we will talk about their historical role when we are done with solving the Eritrean problems first. Nothing prevents the regime from starting to bring fundamental change in Eritrea while staying vigilant against the potential Weyane conspiracies. We need to cease from bringing Weyane into our midst as much as possible. It is always tempting to focus on them whenever one wants to use them in-defence or in-defiance, but it is everybody’s role to sway the talk to the essential, to bringing positive change in Eritrea that really benefits the people in all aspects of life and that prevents us from going back to the present dark time. We are still in the dark time, no fundamental change has taken place in Eritrea since the peace agreement with Ethiopia. Imagine the change of temperature we would have seen, had IA talked about the hardship Eritreans faced, exiled, dispersed, and he was looking forward to discussing ways of dealing with these issues with society leaders inside and outside the country to remedy what had been largely destroyed by enemies of the nation, lets say. Hi Blink; thanks for the info; now it makes a prefect sense why Aman-H reacted strongly against harmless comments of Mahmuday. Do you think Aman’s strong support of TPLF is due TPLF’s generosity towards the opposition or is there any other motive? I mean Aman’s support to TPLF thugs is astounding; even during TPLF’s killing spree of the Ethiopians. Anyway good to know. Thanks man. Hei MS, fantastic ideas. I underline number 5. People must come back home and know the people and the now reality before doing any political contribution. I dont want to confess anything here but I was dumbfounded by the jubileus response of both peoples during the peace declaration between the two countries. I was brought to the reality. You forgot you are talking to the diaspora. We have to get invited first (ከይተዐደምካ ሁሩግ ምባል ነውሪ ምኻኑ ተፊኢካ). Second, all the people that I want to visit have already left to Ethiopia or somewhere else. Not a welcoming environment. So you just buy air ticket and be with them , it is too easy . I mean it was just days some guys were saying people first and then land what ever . Plus you have these people who inherited a bad seed from their grandfathers like some people’s grandfathers were educating their grand kids to hate Eritrea be independent and that synchronized deal was the main cause to defend weyane . I mean if your grandfather was a die hard Italian supporter and reject Eritrea to be independent, how far can someone distemember that story . You can actually find some in this . These days you are having unusual optimism on the Eritrean regime and on Eritrea’s immediate future. Could you share us your Revelation? Revelation for ራእይ የውሓንስ aka ኣባቀለምሲስ or Apocalypse. ሃሃሃሃሃ— ኢድ ዘለዎ’ኮ ዩ ኢድ ዝህብ። ኢድን እግርን ዘይብሉ ኸ እንታይ ይህብ? Here is a question for you. As you know world population is 7.7 billion and if you line up every individual and multiply every persons ten fingers with the ten fingers of the next person lining up behind and so on to the last person, what would be the total number of fingers? Just out of respect, that number would be approximately equal to the number of opposition groups, multiplied by the number of each group that called for unity, multiplied by the number of times each group worked to undermine unity, multiplied by the combination of meetings each group made with each of the other groups= ENCDC. I have to go. Before you go… was messing with you for the question is a bit tricky. In fact, the answer has a lot to do with what you said to Acria. As you alluded to him…..people with no hands. And as you know there are many people with no fingers and that means you are going to have to multiply as some point with zero and in the end the total number would be zero for any number multiplied by zero is zero. That would be genius if I my answer to Acria implied I was talking about the world’s population, as having no hands. but I only said “those who have no limbs”…and I thought I was clear in referring to our revered opposition. Sm I missing something? I found your interaction with Acria so funny and it reminded me the question about population. And I thought sharing it with you. 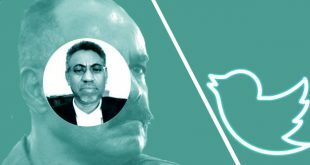 Hello Mahmoud sir, if you do not consider yourself in opposition to the policies and actions of IA, rather in tune with his meniac and erratic ways, why do you bother to dish out generous advice to those who oppose the IA rule? Is it posible that you are trying to mislead us and get us trapped? Can you elaborate for us how you are on our side and not wishing us all I’ll things? I came late to the conversation. When I did, here you are again doing something to us and to yourself. There was an American strategist who was working hard to solve the Irish problem. He first took inventary of the political problems, positions, and contexts. Then, he went back to his drawing board and fitted every puzzle piece to one solution with I-fixed-it mood and got back to the dialogue table to declare his formula. But then, the problem had already changed its character. Actors had changed faces. Positions had shifted considerably. Out of desperation, he kind of proposed to lock the problem first to have it constant during the study time. How do you study Mahmuday? I honestly missed your presence. See, discussing current issues that include TPLF without your presence don’t feel good. Welcome. How I study? Well, I avoid Wayanay methodology, haha..
On the advice: you are the subject to be studied. You have become so elusive and fluid. Unlike, Ali Salim, your u-turn moves are too immediate and too sharp. I thought the only to frequent the two opposite poles is by going to the equator line. Maybe, you too embodies it as well. ምስ እንዳ ሸኾርተት፡ ሸኮርተት ትጻወት። ምስ ሰጎምትን ሳገምትን ድማ ንቅድሚት ዝደፍእ ሓሳባት ትለዋወጥ። Have you ever seen individual independence in this forum except on those who are acsused of being IA admirers/supporters? That is not natural. The normal pattern is to be able to see slightly differing lines of arguments, even if you are in a TPLF diehard group, like yours. Within a broad agreement, one has to see individuals expressing their uniqueness, even if it is done in a subtle manner. But here, under your Highness watch, folks are inflicted with groupthink. I despise that. Coming to your point: The topic I discuss determines my tone and how I display it, not the other way around. Thus, you see issue-focused approach in Mahmuday’s take, not politicizing or personalizing them. For folks whose thinking is tightknit, this may appear as making sharp turns. And thus comes the SHEKORTET. I have been distracted a bit in past few days. Nonetheless, I have been following your conversations in two or three outlets, FB being one. But these unsolicited advisory (!!) notes enticed me to make an observation. Subsequent to sort of sobering down of the euphoric mood among regime surrogates and the supremo following the Abij politics of love-shall- redeem fates of states mania, and the extension of its redemptive effects on the despot and his regime, I anticipated you would find an achor to position yourself in the wider change seekers spectrum after having observed you bouncing back and forth between the opposition trend and enthusiatic support tor PFDJ and its future in Eritrean politics. The meaning and purpose your notes purport could not have been projected better than hearing them from the despot himself. Hi All; when ever I hear the word opposition, Ethiopia and TPLF comes to mind. You will think Eritrea and PIA comes to mind when ever you hear the Eritrean opposition but why is it Ethiopia and TPLF comes to mind? Perhaps Eritrean oppositions has nothing to do with Eritrea and Eritrean interests. Now, this is what I read and I have a good reason to think the uselessness of the so-called Eritrean oppositions. IT SAID ” Formed in November 2011 in Hawassa, Ethiopia” IT MEANS THIS OPPOSITION was established, structured, directed and financed by the Weyane. it is true every person who attended in Hawassa conference was awarded free Air ticket, free hotel’s stay and even free food. I ask you how possible is such opposition group to serve the interest of the people of Eritrea and to protect the integrity of the nation? If you ask me, this opposition group is a waste of time and energy. It is difficult what the Eritrean opposition were doing in Hawasa trusting tplf. Maybe they wished a short cut to the throne or some of them work for Tplf bigger plan. But what ever the case might be the tplf who has been suffering from chronic greediness had no illusion what they were invested for. They wanted ONLY to install another Desaleng Hailamariam in Asmara and 9 useless presidents in different Eritrean killills. Dont think of the now tplf shivering by its own sweat. Think of Tplf which was biting every one depending on US hands out. It is not dedebit’s ingenious who manged supporting Alshabab while they pretended to help the puppet Somalia presidents. It is not the dedebit’s genius who helped Alshabab but could managed Eritrea to be blamed and boycotted. Everybody knows that. Otherwise the worst of tplf is their greediness how far they are willing to go to get whatever advantage they put their hand on regardless what damage they can sustain among their ‘Ethiopians’ brothers and sisters and their neighbors. Opposition groups have been ineffective since day. They are even more inconsequential now that the reality on the ground has changed drastically with the border deal and uplifting of the embargo. The recent development was the last nail on the coffin. The big question now is: how should the opposition block evolve in light to the new reality? Do they have any relevance vis-à-vis the existing reality? With the opposition in complete confusion, a smart fox that IA is, he will manipulate the recent development to his advantage. All he needs to do is create a new reality on the ground and his supporters will flock to his rescue. They will support him as long as he gives them a cause to fight for. He even ruled completely unhinged for the last 20 years by killing his way out. Who is going to stop him now? Here are some options that may be capitalized by the opposition to recreate itself in the new reality. 1. Forget (may not forgive) the past and focus on the future. Stop blaming IA for what he did in in the last 20 years. Focus on what is missing now. 2. Engage the regime’s supporters. A scenario of They -vs-us can’t be a winning strategy. The war against IA cannot be won without getting some support from his supporters. For that, dialogue and engagement with them is crucial. 3. Be civil with the approach. Name-calling is not a winning strategy. Respect the supporters and engage them so that they see and understand what is lacking. Vindictive and hate-based approach will only push the supports towards the regime. 4. I think Eritrean people are ready for a leader who is respectful and civil enough to carry them to the next chapter, one who doesn’t dwell on the past but rather focus on the future, one who is proud of the Eritrean history. I can’t emphasize this enough. Any strategy that Eritreanize its activities is futile at best. One doesn’t have to agree with the whole Eritrean/Ghedli history, but you can’t win the heart of the people by denigrating their history. Make people perceive you are part of them but you want things done in a better way. Make people think you are one of them but you want better things. One can’t disenfranchise people and expect then to rally in for support. need new faces and new minds who ready for the next challenge. You just cannot be effective by recycling the same kind of people. Been there, done that. We need a fresh face with a fresh agenda! respectful, civil, transparent who looks into inside-out and not vice-versa. I believe this time is the best time for the person to show up and lead us for the change we envision. IA now is more vulnerable than ever if one we knows how to capitalize on it. I am not sure if this person will ever show up, but who knows. Not many people expected to see a black president in the UA this fast, but Obama did. We need an Eritrean Obama! They say, the best time to plant a tree was twenty years ago and the second best time is today. It is never too late. It is prudent to remember that political parties have a life of their own. They come to life, they grow and often times either they stagnate or regress but through sheer political will they bounce back and ECDNC is not an exception. As I see it, the relationship between Abiy and Isaias is not tenable for among other things, Isaias is not in the business of keeping friends for so long. As such, it is a matter of time that Abiy will need the Opposition and reach out to them. In the mean time however, Abiy will be forced to see any use in them if only if they make unity their utmost priority which transcends ideological differences. They should look for a strategy that works not adherence to a dogmatic orthodoxy or ideology. Messing around with neighboring countries opposition has been the past thing. Plus it is an insult to Eritrean people. Eritreans can solve their problem by their own. You blame your president that he can not keep his friends for long and give advice to Abiy to entertaining Eris opposition. What a funny way to keep a friend. The last thing either Ethiopia or Abiy needs is other’s problem. Instead try your best so that the poisonous snakes Tplf not to poison your opposition. The peace we have with Eritrea is one of the valuable things Ethiopia has ever. Try like yourself go home and do your best. You know what Ethiopians have done against Tplf. I dont need to see any tplf’s link. As i told you Eritreans can do solve their problems in peace. Ethiopia’s contribution will be not jeopardize this peace. My advice to you is stop supporting tplf. Don’t judge before you see: The link is Eritrean. It is an awate.com. article. It will show you that Eritreans inside and out are struggling against the dictatorship. And TPLF issue is not an Eritrean issue. It is an Ethiopian issue: you solve it …do what you want do with it. Eritreans won’t interfere in your issues. What is sad is how these characters (Mitiku, Teodros and their equivalent Blink, NItricc) are trying to ruin the forum with their constant TPLF attack for anyone who doesn’t agree with their medemer formula. It is not an attack. You have full right to support Tplf. Even Ethiopian government has tplf as a member. But stop attacking personal character. Stick to the discussion. You love Tplf i dont. You list why you love and i do why i dont. We know how tplf cyber fighers attack. When they steal they tell us how brave they are. When they are caought they say it is planned to humiliate all Tigrians. I know how embarrassing to support tplf. But it is your choice so come up with something positive tplf has done. So far you got nothing. Nitricc, Mitiku, Blink and Tedros have nothing in common at all except they dont like what tplf has done against humankind just for the sake of to satisfy its chronic greed. This is the last comment I will exchange with you, until you both come up with proof what you are accusing me off. ” You love Tplf i dont. ” Show me when and where exactly have I said I love TPLF. “u can’t fight dictatorship in eritrea by advocating and supporting tplf and it’s ideology, it doesn’t make sense, it only make u tplf supporters in a fight between tplf and pfdj. Show me when and where I said I support TPLF and advocate for TPLF. If you have any honor in you, you stand by what you wrote and prove it. Otherwise good luck with your mission of destroying TPLF. Every little thing of what u said in this forum is a prove. all of it, reread ur own comment. It is a free world. I know you run out of idea when you start talking about me on others comment while you can write it direct to me. Good luck with licking the wound of Tplf. Why don’t u guys come out of hiding and advocate clearly for tigrai tigragn or tigrai with eritrea or for tplf, if u do that u guys will make sense, otherwise what u guys saying in this forum ruin the forum with ur nonesense comment. I mean, u can’t fight dictatorship in eritrea by advocating and supporting tplf and it’s ideology, it doesn’t make sense, it only make u tplf supporters in a fight between tplf and pfdj. and pls don’t associate me with blink and mm, i don’t agree with them, spacially mm, i think he is one of u. This is may be the best advice ever out from people like Ayneta and I can’t help and believe you reach at such point . This is a breakthrough for you as well as can be to many if they infact can read your advice . I think you are coming to the sensible side of the house. I think any opposition worthy of any Eritreans support must walk through your points . I can’t see anyone who reject your points and go on to get support from the majority of Eritreans. At this hour Issias has no reason to continue lead Eritreans, all his reasons are gone one by one . Just a correction before your hate of the opposition takes you too far. The picture belong to headband news and it’s the editor’s choice. Your speculation is totally wrong because the meeting was broadcast live and the pictures are there from any angle you can imagine. So, don’t speculate and implicate others simply because the image headband choose. 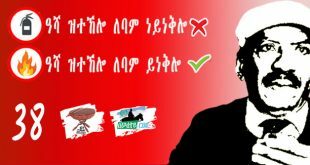 I don’t hate the opposition in general but I do think these in Senaa forum and all connection with weyane has no time left . You know I don’t like an opposition for the sake of my tribe , I like opposition that Ayneta stated . most of these refused to talk to Eritreans while they did everything to have contact with weyane don’t need any love . What is wrong hating weyane babies? Come on you know for sure most did use their golden time smiling with weyane . Call Qerenlos and he must kneel down to awate and his alike , call all these who bulldozed Eritrean history as they wish just to make weyane happy , then I will be ok .
Blink: to open and close the eye, especially involuntarily; wink rapidly and repeatedly. The PF(JD) spy blinked at the photo and knew the brother of one of the attendees in Asmara and went to the brother and arrested him in Adi Abeto. The irony is your name stands for your pen name. Come on , why would he do that ? I mean what is the point? Let’s see how far these people can go and pls remind me after 2 years from now pls . I believe in anyone who is fit to take on PFDJ and I don’t see anyone from the above . Second I don’t believe in power sharing by affirmative action. A PF(JD) warning to one of its followers ” go to west , and get medical care but do not associate with the opposition” …this is anecdote from one PF(JD) member who left her husband back home. She is now against the PF(JD) …would you like her to show her face? I completely agree with your points above. Let see if a unifier person with new idea, forward looking could come to rescue the opposition that is on life support. The opposition could care less about their life. They have chosen to be opposition not for themselves but for their people. For example, people such as Adhanom, Andebrehan, Abdela Adem and many others former government officials they left the regime to serve their people. If it was about them, they would have stayed with the regime. The same can be said for those non EPLF/ PFDJ opposition. They were forced out from the struggle by collaboration of EPLF / TPLF. Since they left, most of them have done well for themselves and their families. Most second generation of ELF kids have done exteremly well in the western countries they reside. So the people who are in life support that need help are really the ERITREAN people. And who ever comes, you have nothing to worry about the opposition. On paragraph 3, you indicate that IA has become even more formidable by making the opposition irrelevant. Your last paragraph yet says that IA is more vulnerable than ever. Can you reconcile these two things? Great comment otherwise. If I may add, IA doesn’t quite badly need a lot of supporters any longer now that he got money coming from Saudi and UAE and potentially lots more from port deals with Ethiopia later on. Morever, I think we can say that the majority (greater than 50%) of Eritreans resent IA but perhaps they resent the opposition even more. IA is not where he is now because of his supporters but because of the ineptitude of any force that can organize the youth against him. Gaining the trust of IA supporters abroad will have zero effect. TPLF was the only force on his way and now they are at his mercy, more or less. IA has survived 20-years of isolation and is now in a stronger position since 1998. He has many cards up its sleeve. By the time the opposition had come up with a working strategy to topple him, he will his use his ace card to move the goal post. This is not to undermine the opposition, but a fact of life when one chases a dictator. He has potential funds from Potash and will give him the breathing space to strength his securities apparatus. The only glimmer I can envisage is, some of the veteran fighters might reach a point where IA pushes them to the wall and will do the unthinkable. His biggest Achilles heel is how to control the flow of information. It is extremely difficult to deceive and leave people in dark in this day and age. I also believe that at some point he will run out of enablers. One of his right-hand men, Hagos Kisha, has been out of the picture and rumours have it, he is in the USA; this leaves him with one or so loyalists. I do not agree with the view that 50% despise IA. On the contrary, I would argue 90% diaspora Eritreans are indifferent to the plight of their country. IA knows them, they are driven by access to Eritrea and largely ‘AbaKebdom’, so he can easily manipulate them.